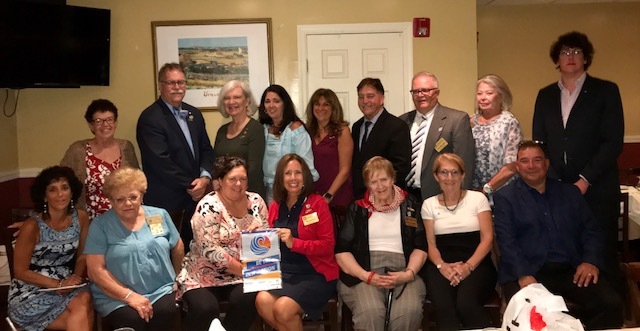 The Lindenhurst Rotary Club, along with Deputy Mayor Maryann Weckerle, welcomed District Governor Shawn Weis to Lindenhurst. The District Governor spoke about worldwide and district Rotary International events and how important it is that Rotary clubs be in touch with the communities they are a part of. District Governor Weis stated, “Rotarians are people of action and want to fulfill community needs.” In recent years, Rotary clubs have been focused on taking on projects that are environmentally friendly.